Solar and Wind Power - CanadaWeb Inc.
Wind Turbines, Solar Panels, etc. 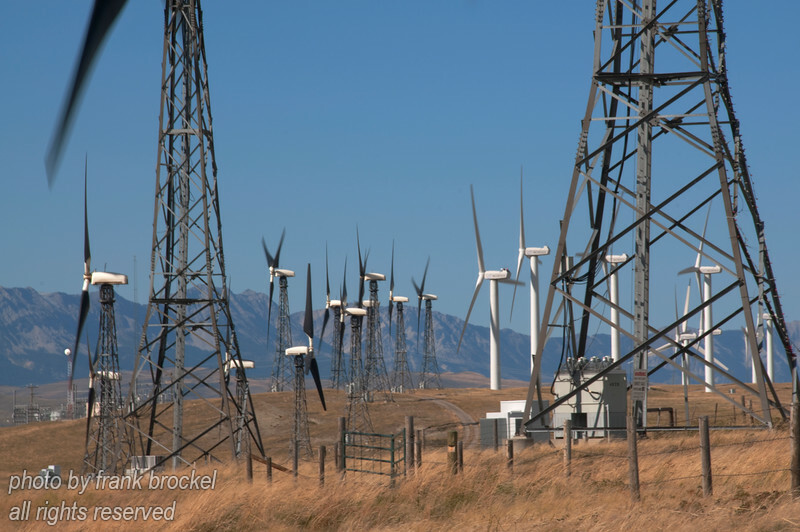 The chinook winds that blow through the Crowsnest Pass are harnessed by hundreds of wind turbines. As the winds come over the mountains, the air is compressed and this results in very rapid temperature rises... an nice relief from the bone chilling cold that winter can bring here. Winds can reach more than 80 mph.